Take quick Moisture level reference measurements on wood and building materials with this convenient compact-sized Moisture Meter. 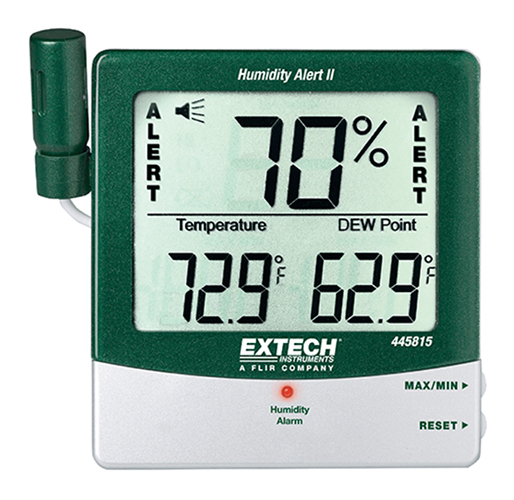 Easy-to-operate with display icons that indicate the levels of moisture content plus audible alert feature. Ideal for building restoration projects and applications where moisture detection on floors and under carpets is critical. A must-have tool for analyzing the after-effects of water leakage behind walls and in ceilings.